Ashlee is a PhD student in Biological Anthropology. She is interested in how folivorous primates negotiate their landscape in regard to the plant chemistry of their diet and how climate change influences foraging thresholds. She spent a summer at IU working as an NSF REU student in Dr. Ellen Ketterson’s lab and developed a love for Bloomington and hormone assays. Following up on this interest led her to the PEEL lab. 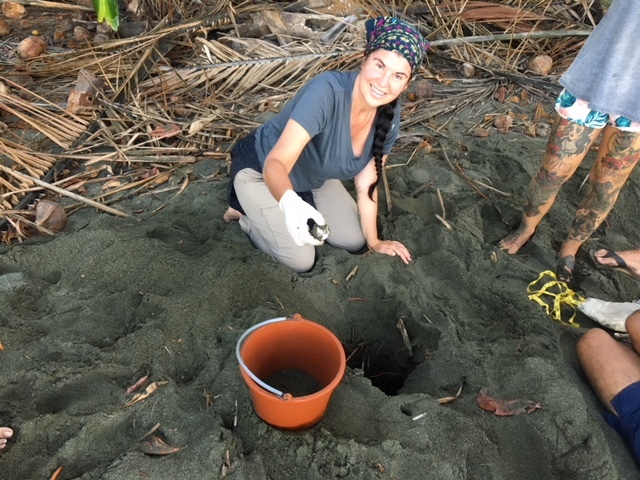 She spent 2.5 months working with other members of the lab in Costa Rica investigating behavioral and hormonal responses to habituation and sensitization.